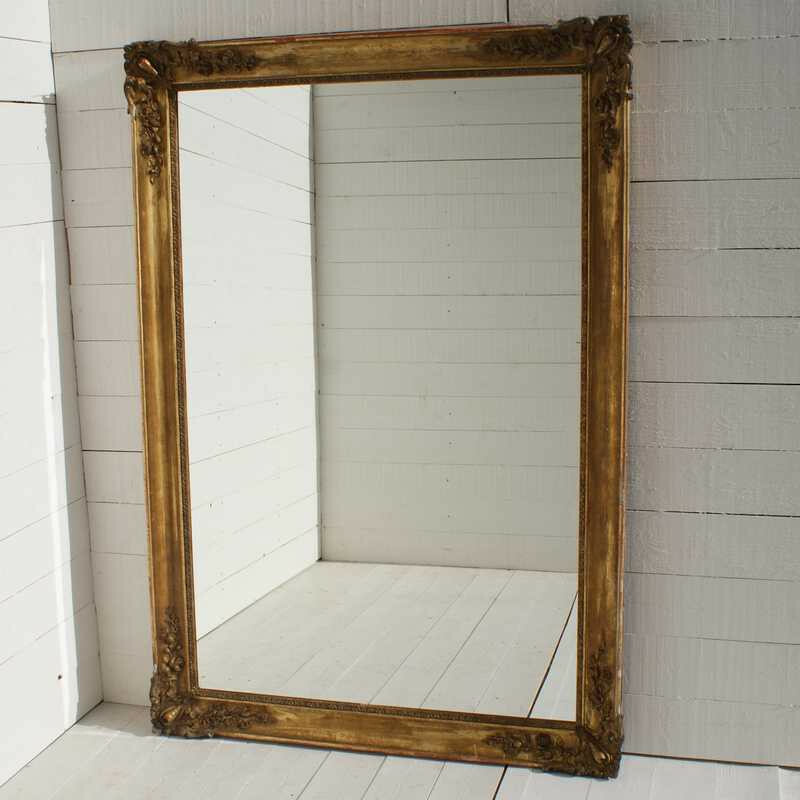 Wonderful, large antique French restoration period mirror. Superb colour. Can be hung landscape or portrait. Could be used as a floor standing, full length dressing mirror. New glass. Frame Circa 1830.